Fresh, floral prints. Bright, gorgeous patterns. 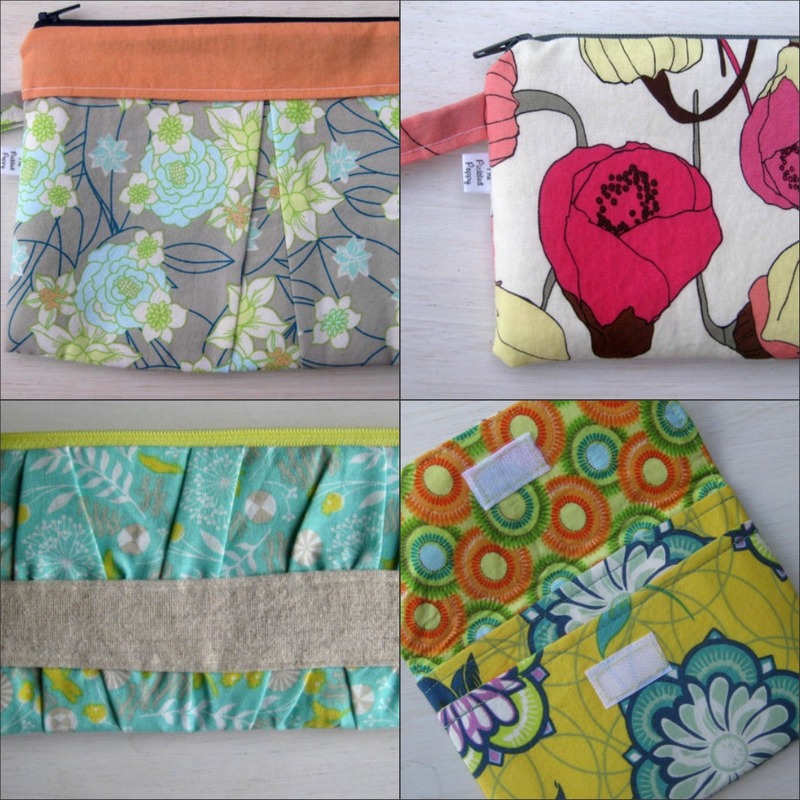 Fun, functional zipper pouches & accessories. That's what you get when you shop The Pickled Poppy. I absolutely love her selection of handmade goods. She has a great eye for fabric selection, which I'm a sucker for! Combine all that with great prices? Baddabing. We've got ourselves a GREAT shop! 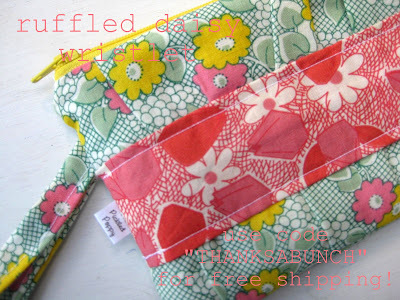 Today, Autumn is giving away this adorable clutch AND offering you guys a sweet little discount code for free shipping! In case you cant' see the pink font (oops), use code THANKSABUNCH for free shipping off your Pickled Poppy order! 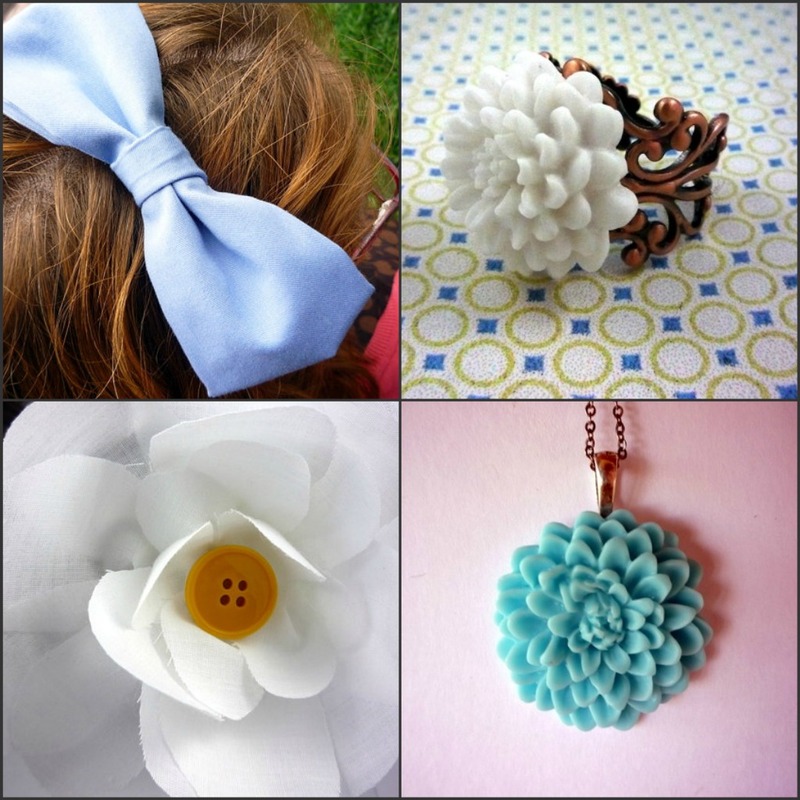 Find more from the Pickled Poppy here! I met sweet Abby at Texas A&M and was always impressed by her endless style & fashionable self! 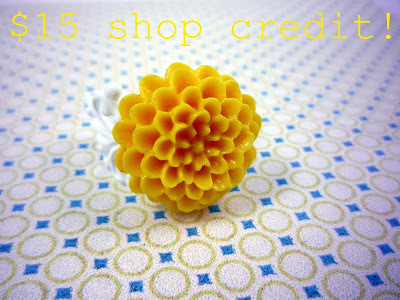 :) When I found out she was going for it in the handmade world, I was so excited for her! 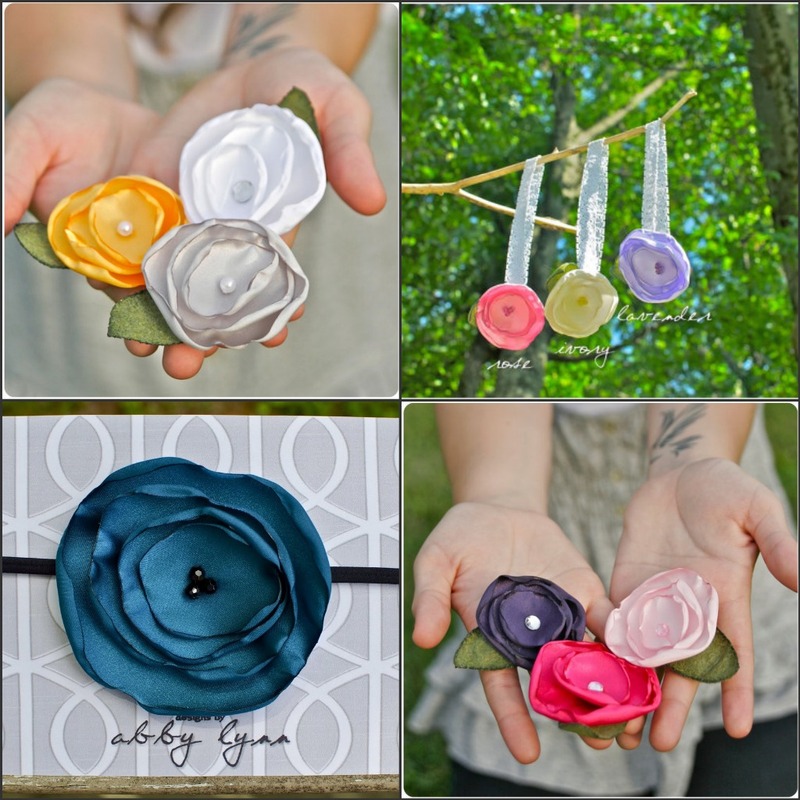 Designs by Abby Lynn features delicate poppy bobby pins, headbands, and clips that can be used for babies, children, or adults. I LOVE the colors she chooses. They're so fresh & happy! Find out more about Abby here & find her here on twitter! One of my favorite things about etsy is finding shops that specialize in more than one thing. One stop shopping makes my heart happy! At Ninth St. Notions, you will find precious hair accessories, fashionable rings, handbags, earrings, and fun necklaces! Better yet, Amanda is about to add a line of coin purses to the shop. Today's winner will receive a $15 store credit to Ninth Street Notions. 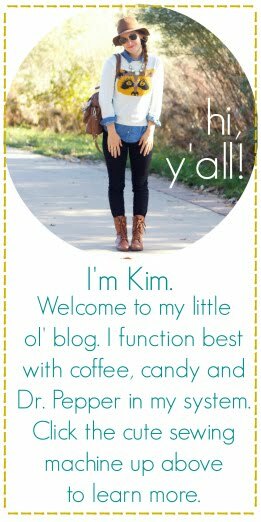 Find more from Amanda//Ninth Street Notions on her blog! To enter this GROUP giveaway, all you have to do is tell me your favorite memory you've made this summer so far! 1. tell me what your favorite items are in EACH shop (one entry). From the pickled poppy shop I like the blue damask wristlet..I think it would work great as a to go diaper holder as well! From ninth street notions I like the reversible tote. From designs by abby lynn I like the silver rose bobby pin! So far my favorite memory was driving out to Milwaukee on my own. So proud of myself for doing it! From Pickled Poppy I love the Large Pleated Wristlet-Spring Time. From Abby Lynn I love the small floral hair clip in latte and from Ninth Street Notions I love the Romantic Red Rose Necklace. My favorite summer memory so far was getting a mani/pedi with my MIL! My favorite summer memory, so far.... had been listening to Christmas music during 104+ degree temps while crafting!!! The mini wallets from The Pickled Poppy are awesome. 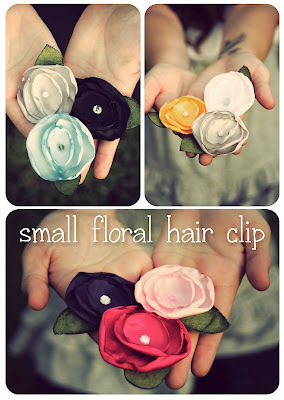 LOVE the hair clips from Designs by Abby. And the key necklace Ninth St. Notions is precious. Thanks for sharing these shops! They're all so great! My favorite memory is taking my son to the lake for the first time. He loved being in the water! My favorite summer memory thus far has been playing tennis (despite 14 mosquito bites in one night...). &hearts. My favorite memory so far this summer has been finding a home to move to, and planning the home together. I love the choose collection by designsbyabbylinn. I think its so neat that the the flowers are given to people at Vanderbilt hospital. I would pick the light blue hair clip. In ninth street notions I love the antique silver key and heart charm necklace. I had lots of great memories during our vacation in Michigan. Swimming in the lake, seeing a lighthouse, and riding in a Ranger with my husband were some of my favorite memories! my favorite memory so far this summer is my dad & stepmom coming to visit & my son actually recognizing them & being so playful with them! and my son swimming! Pleated Poppy - Large Pleated Wristlet- Hampton! <3 it!! One of my favorite memories this summer is going Salsa dancing with my friends. It had been a long time for me. At Ninth Street Notions, I like the Zesty Orange Chrysanthemum. I may have to buy it for the Bobcat football games. my favorite summer highlight is taking my son to the beach for the first time. I loved seeing his reaction to the sand and the waves. he loved it all! MY favorite summer memory so far has definitely been short-road-tripping with my man. He always makes me laugh and I just love singing car tunes and long talks together. Favorite memory so far is having a week off to enjoy pool days with my little Lydia! We just came back from a fabulous road trip: Idaho family reunion, camping in Yellowstone, visiting Jackson Hole, etc. and back to Vancouver, WA. ALL with a 5, 4 and 1 yr. old. :) They did very well the whole trip and just loved it! Here's to more family trips (and memories made) for the future! I love: Springtime Wristlet (PP), Gathered Ruffle Headband for baby (DbyAL) and Lime Green Mum earrings (9thSt.N). Fabulous shops!! My favorite summer memory so far is letting Brayden dig into his first ice cream cone. Unfortunately, I left my phone in the car so I have no documentation- but I think the joy in his eyes I will remember forever. Favorite memory of the summer: that I quit my job & spend every day at the pool with my kiddos. Thanks for the opportunity. I just made my favorite memory yesterday. I took my girls to our neighborhood park which has a mini beach area. So they were able to play in the sand and attempt to build sand castles. My favorite memories have been camping, hiking some challenging mountains, and sitting around the campfire with friends. So great. My fave memory this summer is swimming in the pool with my kids! ninth street notions-LOVE the fabric button earrings!! Went to convention and saw wonderful friends and learned good news. My favourite summer memory this year is visiting the grave of the explorer Vasco da Gama in Fort Cochin, Kerala. I am a huge fan of early explorers and Vasco da Gama is one of my favourites! Fort Cochin is a seaside village where Vasco da Gama first landed in 1498, the first explorer to discover a sea- route to India. This village of Fort Cochin is a small and cosy fishing village. Though Vasco da Gama's remains were later exhumed and buried in Lisbon, it is a special experience for me to visit his grave that is inside the five-hundred year old St Francis church. Between the sea and church is a very old cemetery which has the graves of a few Dutch and English sailors. Maybe I shouldn't say this but the history of the cemetery and its location close to the sea makes it very beautiful. I love the Lola envelope clutch from the pickled poppy! The yellow, white, and grey little floral hair clips are so cute from Designs by Abby. I love the Spring Time Pleated Wristlet from the Pickled Poppy! My favorite thing from Designs by Abby is the Small Floral Lace Headbands! I would love to have the Reversible Medium Yellow Tote Bag from Ninth St. Notions! This is my first summer as a mommy. I have a four month old... so every moment of this summer is my new favorite moment!! From Designs by Abby Lynn my favorite is the small floral lace headband. My favorite memory is going on a boat with friends and then spending the day at the beach. A LOT has happened this summer, but my baby sister got married this past weekend SO that was definitely my favorite memory so far! Designs by Abby Lynn - the Fluffy Ruffle headband would be perfect for my BFF's niece! this summer my fave has probably been today - our first day on vacation at the beach! This is the first summer I've spent a lot of time in the water (pools, splash pads, water parks) with my boys. So fun to see them gaining confidence, having fun with friends, and getting exercise all at the same time! My favorite memory this summer has been teaching my daughter to "doggy paddle". my favorite memory so far this summer is going on a nightime bike ride with flashlights...my bf, and his daughter, (my lovely little bear). :) and we got ice cream too! Probably finishing my first queen-size quilt! So far, my favorite summer memory has been spending a week in SLC at a convention with new people! I love the Lilac Ruffled Wristlet from The Pickled Poppy, the gathered ruffled headband from Designs by Abby Lynn, and the Teal Rose Ring from Ninth Street Notions! My favorite summer memory is going on adventures with my dad! My favourite summer memories this year have been lazy afternoons on the porch with my family and my boyfriend's family, just talking about life and drinking ice coffee. I like the spring time pleated wristlet from The Pickled Poppy, turquoise flower hair clips from Abby Lynn, and purple rose bobby pins from Ninth Street Notions. Great shops! This summer has just been quiet and sweet. relaxing with family and friends. I love the Romantic Red Rose Necklace from Ninth street notions, the gathered ruffle headband from designs by abby, and the Large Pleated Wristlet-Spring Time from the pickled poppy. My favorites are poppy wristlet, floral ruffle headband (all colors!) 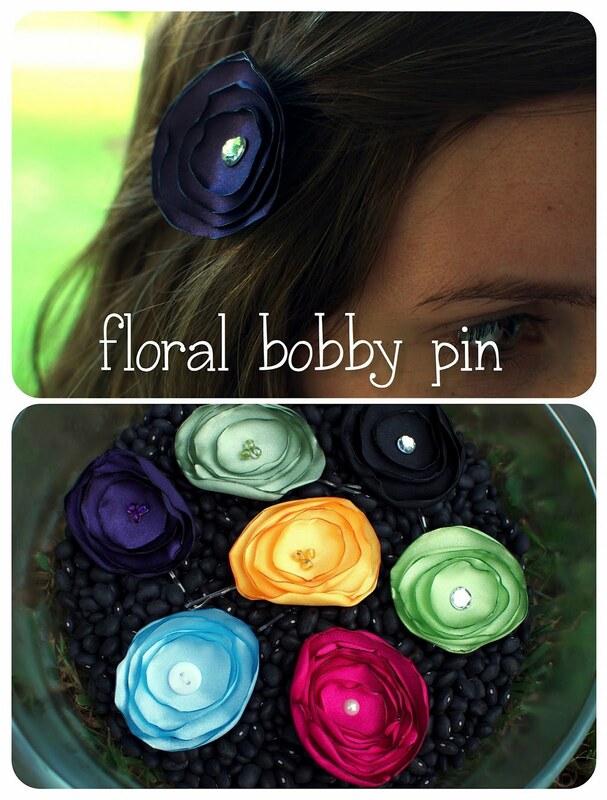 and the classic purple rose bobby pins. So hard to choose! Favorite summer memory so far is going to Cincinatti for the 4th of July with the hubs! It's my first summer as a mom and I've loved making memories with my new little family of three!! Such as taking my son swimming for the first time...and I can't wait to take him to the beach in a couple of weeks! My favorite summer memory this year was a wonderful picnic fellowship with a wonderful group of Christian friends! From the Pickled Poppy, I like the Large Pleated Wristlet-Spring Time. From Designs by Abby Lynn, I like the floral ruffle headband. From Ninth Street Notions, I like the Antique Silver Key & Heart Charm Necklace! My favorite memory so far has been spending time with all of my family, and even my sister's in-laws. It was a sad occasion, my nephew lived for only a few minutes after he was born, but the days we spent together after that were so beautiful...despite the sorrow we have hope in Christ and worshiped Him deeply.